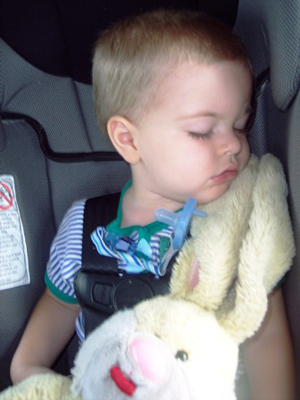 Lucas is in a Safety 1st Intera Convertible Carseat. At 1 year, 2 months, he is 22 lbs and 32 inches tall. Mom says "he can stay rear facing until the limit which is 35 lb. He loves sleeping in his carseat!"